Every second person you come across will talk about a “low-carb, high protein diet”. What’s with the sudden consciousness about protein food, you may ask. A recent study on diet and nutrition of the urban population of India, reveals, that about 73% of Indians suffer from protein deficiency. Of those, almost 70% people in Mumbai lack a healthy proportion of protein in their diet. Whether the reason is being a vegetarian or being unaware of one’s nutrition deficiencies, the fact of the matter still remains that our diet, by and large, lacks a healthy dose of high protein foods. Now, to ensure this amount of protein on a daily basis, you need to spread your intake by consuming high protein foods throughout the day- starting with breakfast. Why breakfast? Because, as they say (and we all know), that this is the most important meal of the day and it’s got to be right. What you eat at the start of a day will determine what you will consume for the rest of the day and over time your breakfast choices will affect your health. • It boosts metabolism by burning more calories, that are needed to metabolize proteins. And a healthy metabolism means better weight-loss. • It reduces risk of Type 2 Diabetes and heart diseases, by increasing and maintaining your insulin level. Now that we’re clear on the benefits, we need to understand what kind of high protein foods we should include in our daily breakfasts. 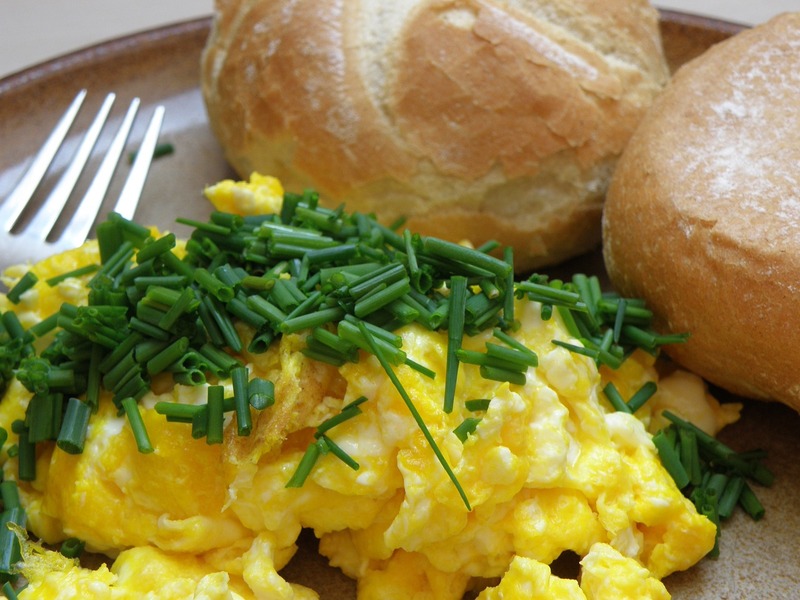 One word – eggs. Quick, simple and healthy, eggs are probably the most common source of protein and a breakfast item in almost every household on the planet. Even in India, most vegetarians are now choosing to eat eggs in the most basic form, to compensate for a lack of protein and vitamin D.
Add the goodness of flaxseeds and mixed nuts to this classic recipe and end the meal with slices of fresh watermelon. 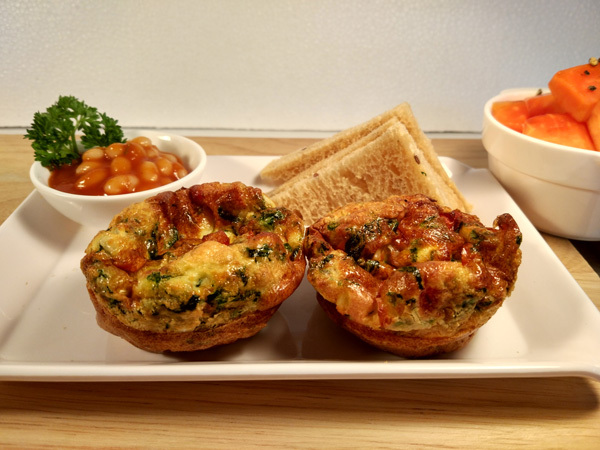 A breakfast muffin, stuffed with greens and crumbly feta, with a bowl of masala baked beans, to give you an extra protein boost. Try Mumbai’s favourite breakfast with a twist of green sprouts and pumpkin seeds, a side of whole grain bread and sprouts. Finish off with a bowl of fresh cut seasonal fruits to balance the protein and carbs. This all-time favourite recipe can be your go-to breakfast for a busy morning. Wash it down with a glass of fresh coconut water- the much-needed hydration to face the Indian summer. 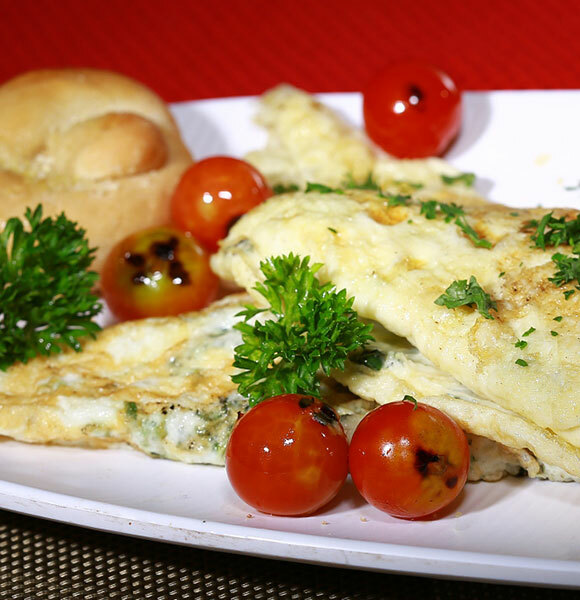 A wholesome omelette with potato, tomato, greens, bell peppers and herbs can keep your hunger in check when you are on a tight schedule. Pack a side of mixed nuts for some extra protein and energy. 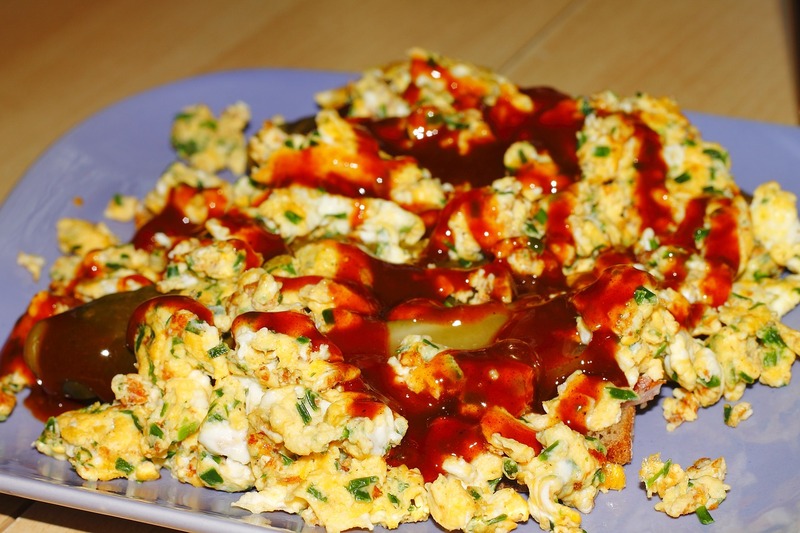 Coming up with innovative high protein breakfast ideas can get challenging over time. But, with nutritionally balanced meal plans available online, you can indulge in a healthy and hearty breakfast where each recipe is carefully prepared, depending on your nutrition needs. 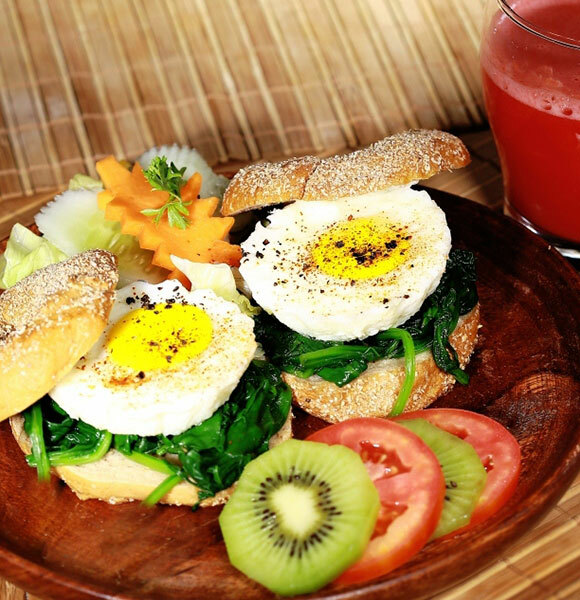 After all, a healthy start leads to a healthy day ahead!